In kindergarten, my teacher, Sister Theresa, told me she didn't watch "Power Rangers" because she didn't support violence. "Neither do I," I thought, "But I do support beautifully choreographed combat sequences performed nimbly in colorful leotards. It's art!" Be it based in this bias or not, my heart goes out to the little girl recently chided for having a lunchbox too kickass for private school. A couple days ago, Redditor twines18 posted a photo of a letter allegedly sent home from elementary school with the daughter of a friend. 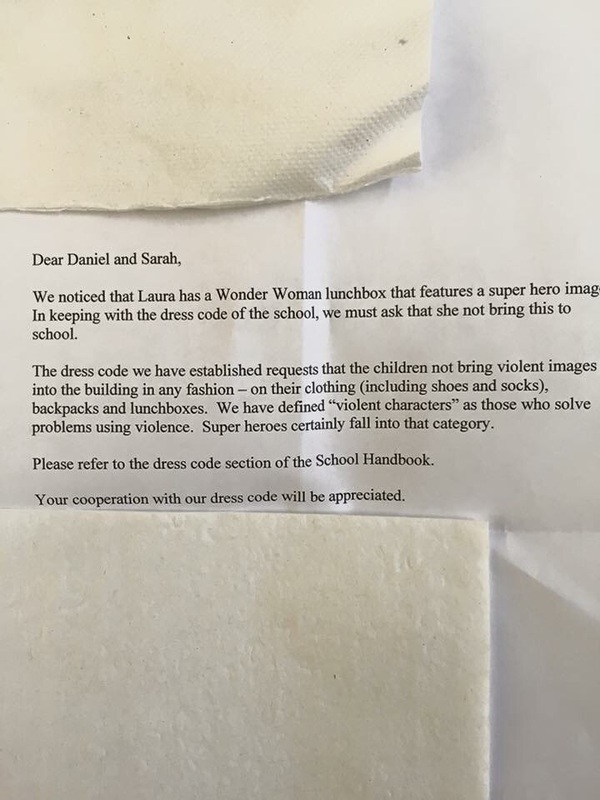 Letter a friend of mine's daughter received from school today. 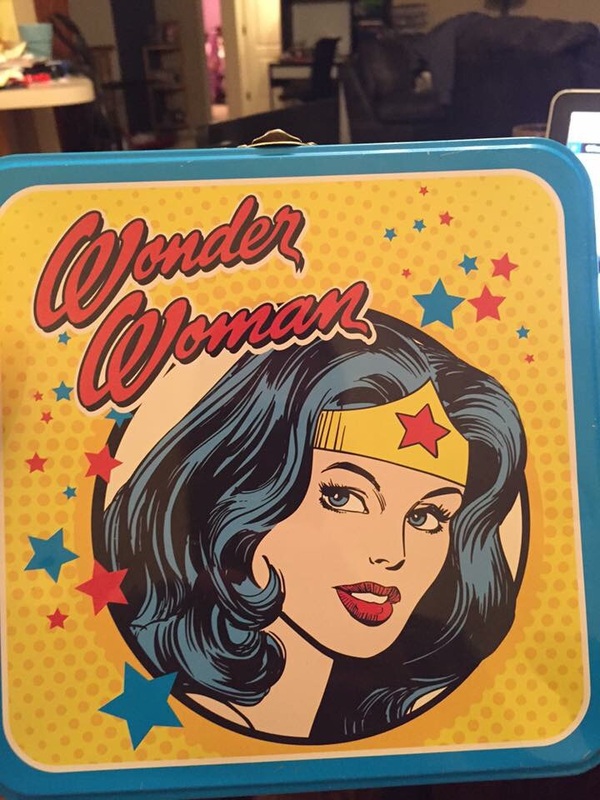 Her Wonder Woman lunchbox features a violent super hero that does not comply with the school's dress code. Redditors who responded were split on whether the rules seemed harsh or benign. 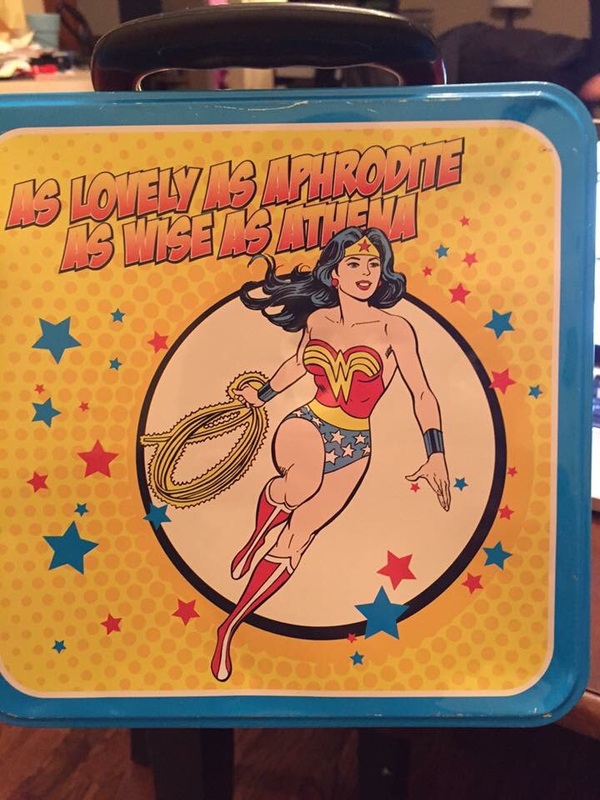 User twines18 included two photos of the images on the apparently offensive lunchbox that featured Wonder Woman's face on one side and the superhero running solo on the other. In the comments, twines18 specifies the school is private, albeit not religious.